Note: We have recently added more IELTS Band 7, 8 and 9 model answers for speaking and writing tasks. Check them out. Every day we receive 100's of IELTS Academic Writing Task 1 assignments for correction from our students. Our experienced IELTS tutors go over every single word of the task 1 reports and mark them based on the criteria specified in the IELTS Band Score Descriptors. Since a lot of IELTS students struggle in the writing section, we thought we would list out the best IELTS academic task 1 samples that we've seen from our IELTS Twenty20 Course students so far. An important thing to note is that the students who wrote these task 1 reports went through several feedback rounds with other task 1 topics where they perfected the art of writing a good IELTS Task 1 report. So don't get intimidated if you think you cannot write such reports. Everyone struggles with it and it takes time to improve. 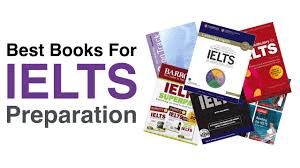 Note: The essays have been checked by an experienced IELTS teacher, not an IELTS examiner. All the bands are approximate. For more IELTS tutorials and unlimited feedback for speaking and writing tasks, sign up for IELTS Twenty20 Online Course today! Use Promo Code AUSSIE to get 10% discount at checkout.